Don't worry, the Treasury will bail them out. Hell, why don't we nationalize the Red Cross and get rid of FEMA? Sounds like a win-win to me. NEW YORK - The wave of storms battering the U.S. has plunged the American Red Cross deep into debt as it rushes to prepare for Hurricane Ike, prompting a searching look at how to stabilize its finances. Gail McGovern, who became the embattled charity's president in June, said even a request for federal funding is under consideration as the Red Cross seeks to become less dependent on spontaneous donations that arrive only in the wake of huge disasters. "We are going to explore every avenue we can to ensure we have a healthy Red Cross," McGovern said in an interview Thursday as her organization deployed 1,000 out-of-state volunteers to Texas to await menacing Ike. 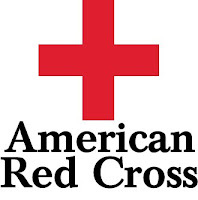 As of last week, when Ike was still a distant threat, the Red Cross said it has raised only $5 million to cover costs from Hurricane Gustav that will total at least $40 million, possibly more than $70 million. It has borrowed money to meet those bills, and now is incurring more expenses as it shifts response teams to Texas and readies its shelters. I think the Red Cross is the defacto FEMA after 8 years of republican "leadership". Paul Krugman in the NYT a few weeks ago: FEMA’s degradation, from one of the government’s most admired agencies to a laughingstock, wasn’t an isolated event; it was the result of the G.O.P.’s underlying philosophy. Simply put, when the government is run by a political party committed to the belief that government is always the problem, never the solution, that belief tends to become a self-fulfilling prophecy. anon1137 - you must be government worker. Its sad that the US has to rely on volunteer organizations to function. Anonymous - I'll bet English isn't your native language. Nicely put Anon1137 & Husmanen.